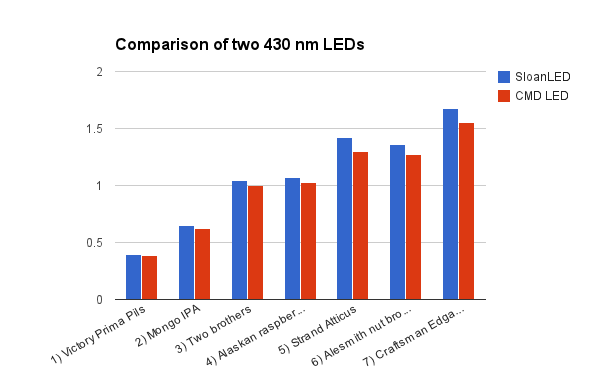 Initial testing was carried out by comparing the absorbance of different beers with the two LEDs. We initially just soldered the LEDs onto spare colorimeter LED boards. In these inital tests, absorbance at 430nm was highest with the 430nm LED from SloanLED, so all future measurements have been carried out with this LED.